Sally Högström was a pioneer in women’s gymnastics. Sally Högström was born in Stockholm in 1863 and was brought up as the foster daughter of headmaster Lars August Wadner. She was accepted at Gymnastiska centralinstitutet (GCI) as a teenager and graduated as a director of gymnastics in 1883. She was headhunted already the following year by a Danish further education school called Vallekilde, which was looking for a director for their first summer course in gymnastics for young women. The teaching of gymnastics to women was a somewhat controversial issue. Ernst Trier, the governor of Vallekilde, received heated anonymous letters and some of the male teachers at the school threatened to leave. Despite this, Trier stuck to his decision and believed that girls and women could benefit from gymnastics just as much as boys and men did. The gymnastics classes were so successful that Sally Högström returned the following summer. Her reputation spread quickly and in 1836 another Danish further education school employed her in Askov. After these two stints in Denmark she travelled in Europe and ended up teaching in Dresden and in London. She became known for her work in teaching Ling gymnastics. The chairman of the Swedish Gymnastics Association, Agne Holmström, considered Sally Högström to have contributed heavily to the spread of awareness of Ling gymnastics across the Danish countryside, where it was more than twice as common than in Sweden at the time. When Sally Högström was not travelling she worked as a physiotherapist and gymnastics instructor at GCI. 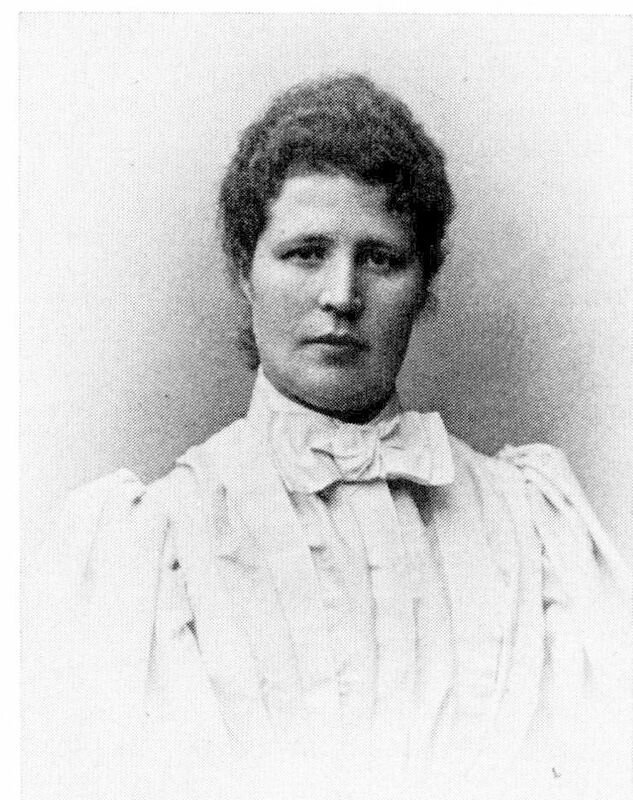 From 1895 she combined her work at the institute with a position at Högre lärarinneseminariet (the advanced teacher training programme for women) in Stockholm. Further, she was also a teacher at the Normal school for girls. According to contemporary accounts she was a demanding teacher but also engaging and well-liked. During her visits to England and Germany she had learned games and ball games that were new to her and she not only introduced some of these into her teaching but also sought to spread knowledge of them. Additionally, she wrote a number of books, including Per Henrik Ling och gymnastiken, 1913, and Dagövningar för mindre barn, 1919, along with numerous articles, the majority of which emphatically underscored the greatness and importance of Ling gymnastics. She was not an innovator when it came to Ling gymnastics. She believed that the gymnastics Per Henrik Ling had developed was definitive and that nothing should be changed. Sally Högström was also ahead of her time as regards voluntary gymnastic associations. She helped to set up Stockholm’s female gymnastics association in 1886 and, along with Major Carl Silow, established Kvinnliga Gymnastiksällskapet (the Women’s Gymnastics Society) in 1888 for which she served as secretary until the society dissolved in 1932. The aim of Kvinnliga Gymnastiksällskapet was to offer working class women a chance to take gymnastics classes. When the society disbanded in 1932, Sally Högström made sure that all the remaining material was transferred to Föreningen GCI, an association established in 1902. This association comprised female gymnasts who had graduated from GCI and was formed to strengthen their shared interests and knowledge in the field. Svenska gymnastiklärarsällskapet (the Swedish gymnastics teachers’ society) had already been in existence since 1884 but it was seen as too male-dominated. Sally Högström donated her summer cottage, known as Sally’s cottage, near Orsa in Dalarna to Föreningen GCI, which was to be used as a holiday residence for members of the association. Sally Högström died in 1939 and is buried at Norra cemetery in Solna. Sally Högström, www.skbl.se/sv/artikel/SallyHogstrom, Svenskt kvinnobiografiskt lexikon (article by Pia Lundquist Wanneberg), retrieved 2019-04-24.